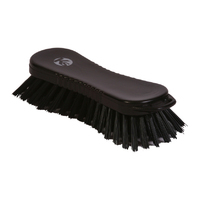 Cleaning static-sensitive areas is easy with our range of robustly manufactured ESD brushes. This selection of anti-static brushware includes ESD tank brushes, short machine (fish) brushes and bannister brushes. 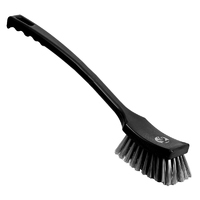 You can also order ESD hand scrubbing brushes, long-handled utility brushes, tube cleaning brush heads, pipe brushes, sweepers and ergonomic one-piece ESD handles. 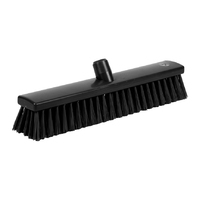 The anti-static brushes – sometimes referred to as static dissipative brushes – detailed on this page are designed and manufactured to deliver you years of use, even in the most demanding of environments. 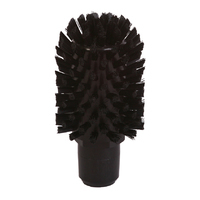 ESD tube cleaning brush head with stiff conductive ESD certified bristles. 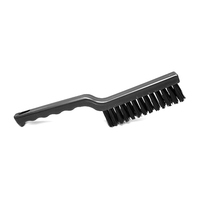 Robust threaded head, compatible with all Klipspringer inside thread handles. 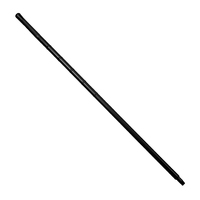 Ergo handle for ease of use with ESD / anti-static properties. Inside thread compatible with all Klipspringer ESD brushes. 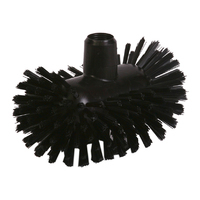 Flexible pipe brush with ESD bristles. 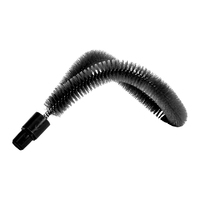 Can be shaped to fit contours of pipes, ledges and corners that are otherwise hard to reach and keep clean. Available in two sizes. 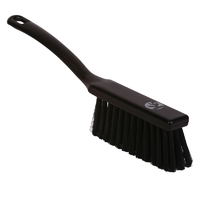 ESD sweeping brush available in two different widths and two different bristle types (soft/medium and medium stiff). Compatible with all Klipspringer inside thread handles.